Stansted Airport welcomed nearly 4% more passengers through its doors this March over the same month last year, with over 1.34 million passengers jetting off from the Essex airport. The exact increase on the March 2012 figure was 3.8%, with aircrafts flying at 79% capacity compared with 77% 12 months previously. However, there was a drop in the number of passengers travelling from Stansted across the 12 months to March. Over 17.5 million passengers flew from the airport, down 1.8% on the figure recorded a year earlier. Regardless of which airport a traveller flies from, travel insurance is an essential part of any trip. 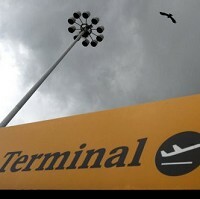 A Stansted spokesman said: "The passenger figures for March 2013 reflect a good monthly operational performance and a solid winter schedule overall. It's encouraging to see monthly passenger numbers in growth."